PDA will hold Costume Pick-Up Day from 4:30-830 pm at the studio. All dance classes are cancelled that day. Please give us your child's name, day he/she dances and class time show us his/her dress code shoes and we will give you your costume*. Please take your costume home and try it on. We highly recommend you not call your seamstress or tailor to do any alterations until shortly before the shows as children grow quickly in the spring! Costume Day happens only once a year therefore please read the entire document for tips for getting your costumes in less than an hour*. We do hope dancers and parents will have lots of patience. All our volunteers want you to have a wonderful day so please give them a smile as a reward for giving your family their free time! *On average, parents arrive, get their costumes and leave within 10 minutes, but there are busy times when hundreds of parents arrive all together and this can increase wait time. We distribute around 1000 costumes within a four-hour period. a. The owner of Freestyle Dancewear will have tights for sale for those dancers who need to purchase them - saves you a trip to the store! a. All costumes must be signed out by an adult. This is a busy day with hundreds of people – we highly recommend coming on your own and bringing the costumes home to your child. They tend to get extremely excited on costume day and if there is a prolonged wait it will not be fun for them. a. Sign: Read the lobby sign to find your room. 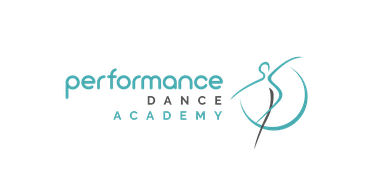 Know your child's class name, day and time and teacher: Example: Your child’s class is Pre-dance 3 Tuesday at 4:30pm with Miss Lauren. b. Table: All tables are marked by category - for this example you would line up at the Pre-Dance 3 table in Studio 2.
c. Taking Turns: At your turn, please give your class day and time information to the volunteers and show them your child’s dance shoes. They will find your costume. Important - please note that volunteers are not allowed to give costumes to parents who have not shown their dress code shoes. Costume isn't there? Your child might not have dress code shoes or the office has a message for you. Please see Miss Teresa or Miss Jennifer). d. Sign Out: Important! Before you sign out your child's costume please look at the photo and accompanying notes on your costume table - do you have everything in your costume bag that is shown there? Please take a moment to show our volunteers that you have everything in your costume bag. They will help you take inventory. e. Yes, I do! All items that I am supposed to have are there. Great! - please sign out on the line with your child's name. Your child can have fun trying it on at home and then please carefully store it until Wear Your Costume to Dance Class Week. f. No, I don't! There's an accessory missing. Please find either Miss Jennifer or Miss Teresa and they will be very happy to help you. g. I have more than one costume to pick up – Easy! Just follow the steps above and repeat the process. h. I'm picking up costumes for another dancer too. Please show the email or text on your phone to the volunteer indicating that you have permission to do so and follow the steps above – please note – shoes must be shown so please have their dancer’s shoes with you too. i. Questions about how to wear the costume, the accessories or how to adjust the straps that are not evident from the photo? b. If there is no one in line behind you, please ask the volunteers. c. If there is a line-up, please see Miss Teresa or Miss Jennifer. d. The teachers have listed on their costume pages where/how to wear the accessories - please check for that type of information on the website or bulletin boards. Cannot come on Costume Day? Your costume will be available for pick-up during Wear Your Costume to Dance Class Week at the studio. Please arrive at least 30-60 minutes before your regularly scheduled class to pick-up your costume and be dressed in time for class. Tried it on but are not sure about your costume or accessories*? The next time you come to class please arrive early and have your child try on their costume to show a staff member. Often dancers forget to adjust or pin their straps or are wearing it incorrectly. *Please read our Costume Policy Pages from October 2017.